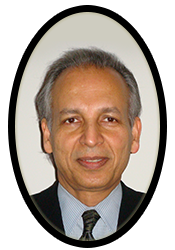 Dr. Sarkar is an expert in Yoga therapy who combines his forty-year experience in conventional medicine with his knowledge of integrative medicine, including Ayurveda and Yoga therapy. He serves on several healthcare boards as: Board Member and Chairman of “My Life Check” Program, American Heart Association, Life Member, National Ayurvedic Medical Association (NAMA) and member of it’s Research and Standard Committee; Member of the advisory board, International Association of Yoga Therapy (IAYT); and Fellow, American Association of Integrative Medicine (AAIM). He is a Certified Ayurvedic Practitioner and Yoga teacher and teaches classes in Yoga therapy, Ayurvedic wellness and integrative medicine. Currently he is Executive Director, School of Integrative Medicine, and Taksha Institute, in Virginia.